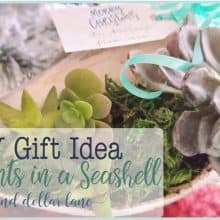 10 Coastal Bedding Ideas from casually coastal to extremely beachy! Coastal bedding comes in so many different options! 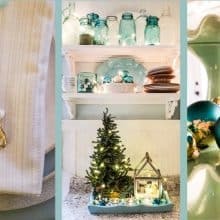 You can go full on beachy with sea animals and shells, nautical with dark blue and reds, or more casually coastal in soft aqua and white. 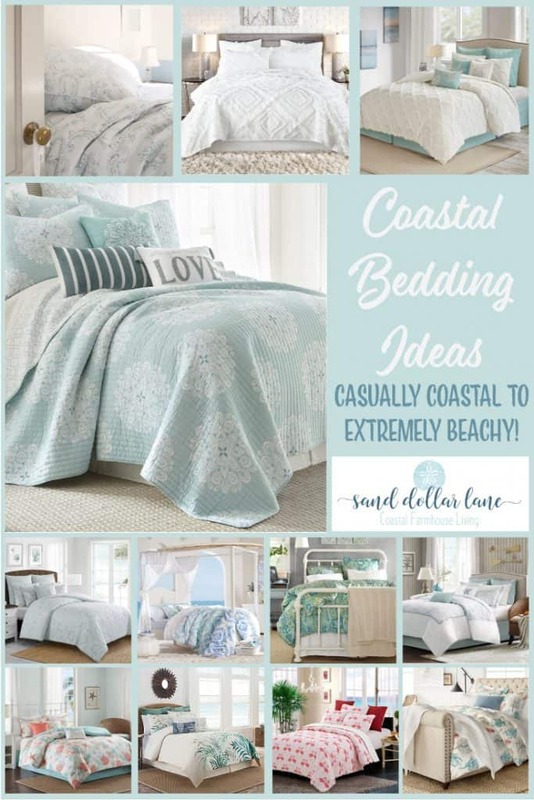 Whichever way you play it, coastal bedding is sure to bring some beachy style to your bedroom! We recently packed up our Fall/Winter bedding and refreshed our bedroom with our Spring/Summer bedding. I love our Pottery Barn Rosalie bedding with it’s turquoise and butter yellow paisley pattern. For the Summer months, we don't actually put a duvet in the duvet cover, we just lay the cover over the top sheet like a blanket. 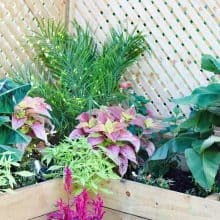 It's light weight and perfect for Summer nights. We have a Winter set and a Summer set because we couldn't decide which we liked best. There are SO many options for bedding, it can be overwhelming when trying to find the perfect one. I've put together ten of my favorite coastal bedding sets to help you narrow it down. Oscar & Grace Atwood Spa Medallion Quilt- This pretty quilt is a perfect lightweight way to add coastal charm to your bedroom. 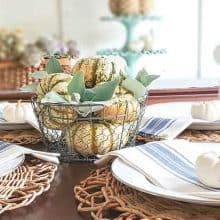 Pair it with some white shams or the coordinating pillows. Raleigh Luxury Quilt- Light, bright and has fun ruffles?! Yes, please! 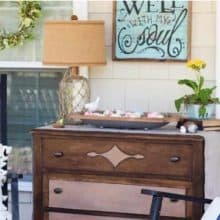 Coastal Life Seaside Medallion-- Subtly coastal, this pretty aqua colored bedding features pretty medallions with just a hint of coastal accents. 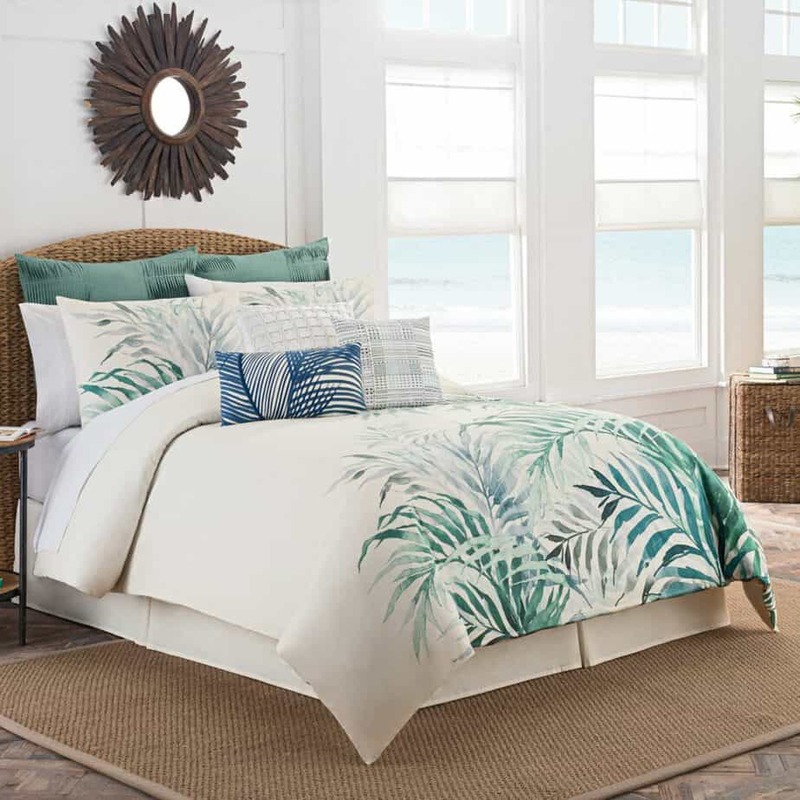 Coastal Life Havana Comforter Set-  I love the tropical look of this coastal bedding set. It includes the comforter, sham(s) and the crisp ivory bed skirt. Harbor House Cannon Beach Set - I love the tufted chenille scalloped pattern of this set. Ocean View Comforter Set Coral - 7pc - This coastal bedding is a full set and is so bright and pretty and really affordable! It has seven pieces including three accent pillows. 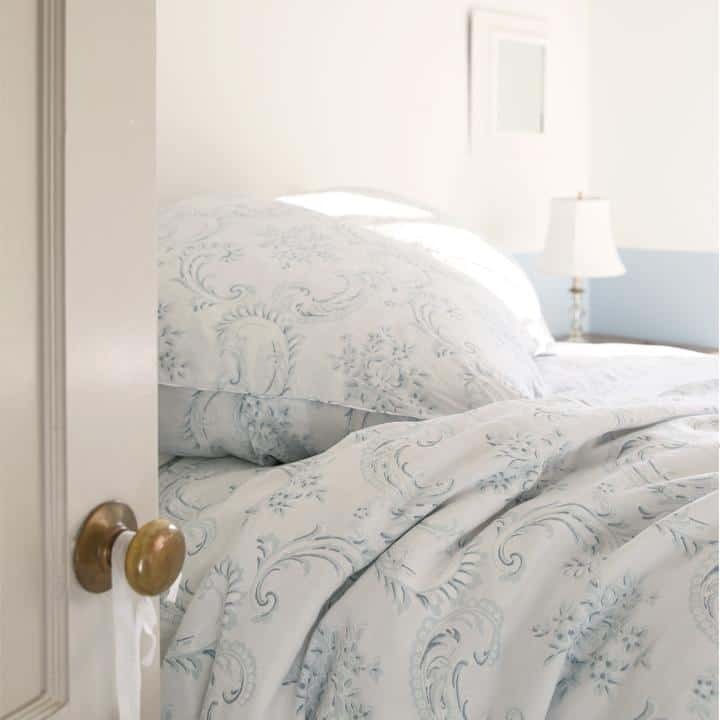 Rachel Ashwell Dusty Blue Bedding - Shabby Chic style lends itself perfectly to casual coastal style with this beautiful dusty blue bedding. Pottery Barn Del Mar Duvet Cover- If you've seen our kitchen makeover you know I love this  pattern. It's as nice in the bedroom as it is in the kitchen! Pottery Barn- Kelly Slater Organic Ikat Quilt- From Pottery Barn Teen this ikat pattern has the perfect combo of teals, blues and white. Harbor House Maya Bay- The soft blue starfish pattern on a white background adds a nice coastal touch to this bedding set. Included are the comforter, sham(s) and bedskirt. There are actually eleven here because I couldn't narrow it down to ten! 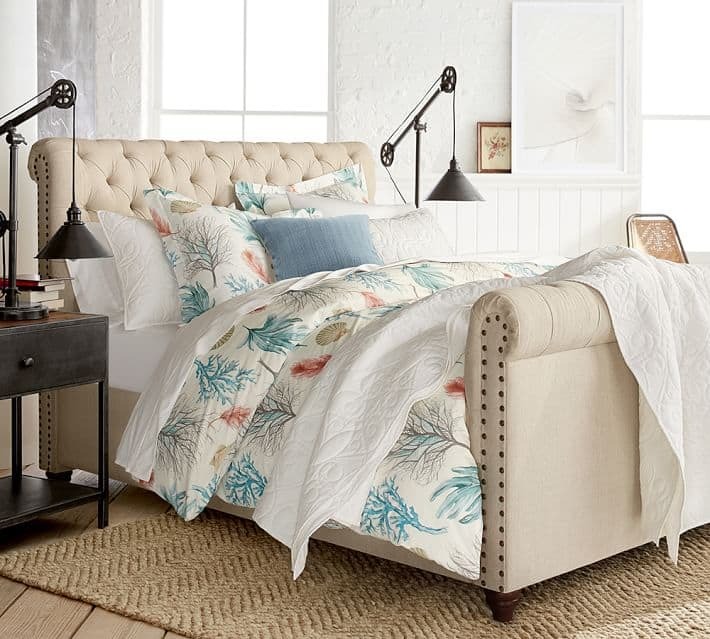 Which is your favorite coastal bedding option? Do you prefer the more beachy look? Or a more casual coastal look?